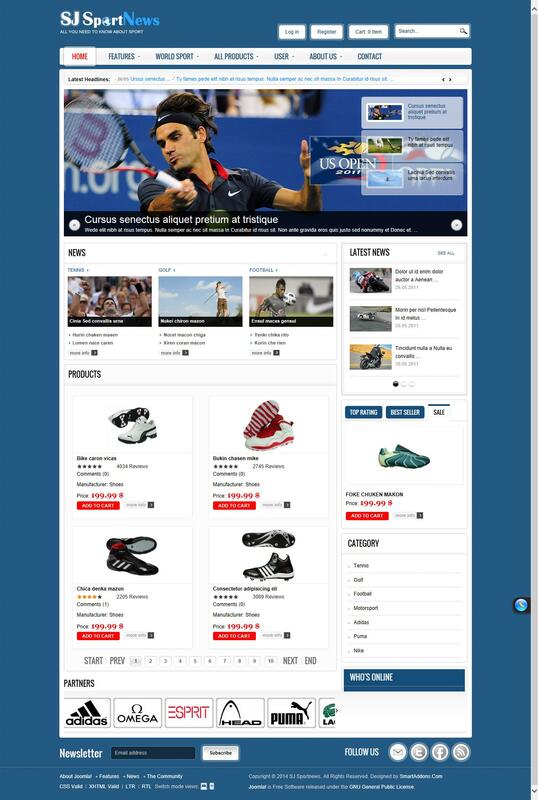 SJ Sport News - functional template online store with support for e-commerce component Joomshopping. This template has a convenient interface that allows users of the website and place an order to purchase goods in just a few clicks. With built-club extensions, store customers will see a detailed description and price of goods on the main page.